For urgent queries, scan qr quote & msg us using facebook messenger for quick response! Data Recovery is the process in which your data is salvaged from failed, corrupted or inaccessible secondary storage media. 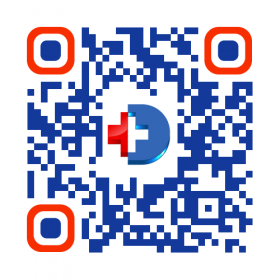 Digital Hospital recovers your data and helps you in accessing your data. Recover your data from logical faults: This is where your hardware is intact, but the data is damaged due to the software. Examples include media errors, corrupt partitions and filesystems and overwritten or deleted data. Recover your data from physical issues: This is where your data gets damaged due to physical hardware failure. Examples include fire or water damage, PCB electronic failures, reading head failure, harddisk access spindle and cracked platter. At Digital Hospital, we offer data recovery services in Singapore for your deleted files, damaged, corrupted and inaccessible data. With our rich experience and skilled professionals, we will provide you with unparalleled expertise and recovery capabilities. We understand that laptops are vulnerable to physical damage and other problems that endanger data integrity, thereby resulting in data loss. With our impeccable service evaluation, you will recover your missing data on time. Right from simple to the most complex, we deal with various types of data losses, including system crashes, accidental deletion, corruption, hardware failure, viruses and many more. Data Recovery for Physical Faults: refers situations in which the error is due to the physical hardware failure. Some examples are PCB electronic failures, fire or water damage, harddisk access spindle or reading head failure (cranking sounds) and scratched platter. Our data recovery services includes all harddisk drives, SSD, Flash media, thumbdrives, Tape Storage and RAID Storage.